As it was teased at Blizzcon, World of Warcraft: Legion will have an entire new PvP system and it’ll be one of the biggest revamps of player-versus-player mechanics in the series’ history. Blizzard is now sharing more details on these changes. Honor and Conquest will no longer be currencies that you use to buy gear from vendors. Instead, characters who have reached maximum level will earn Honor Points from competing in Battlegrounds or Arenas, similar to how lower-level players earn Experience Points. As you earn Honor Points, you will increase your Honor Level, up to the maximum Honor Level of 50. Along the way, you’ll earn a number of rewards, including Gold, Artifact Power, and a brand new set of PvP-only Honor Talents. These are a special set of Talents that are only active when a player is in a PvP instance (such as a Battleground or Arena) or otherwise engaged in PvP combat, and work in addition to your normal Talents. In Legion, as soon as you zone into a PvP instance, the stats on your gear will be nullified, and you’ll be given a pre-determined set of stats that’s uniquely configured for your specialization. What does this all mean? It means player skill will matter a lot in this new system, while gear won’t. So if you’re one of those players who don’t care about Arena and its high-end rewards, or have many alts playing with green and blue items, this is all good news! Once you’ve reached Honor Level 50, you’ll be given the option to Prestige, which will reset your Honor Level back to 1, and once again restricting access to higher-level Honor Talents. 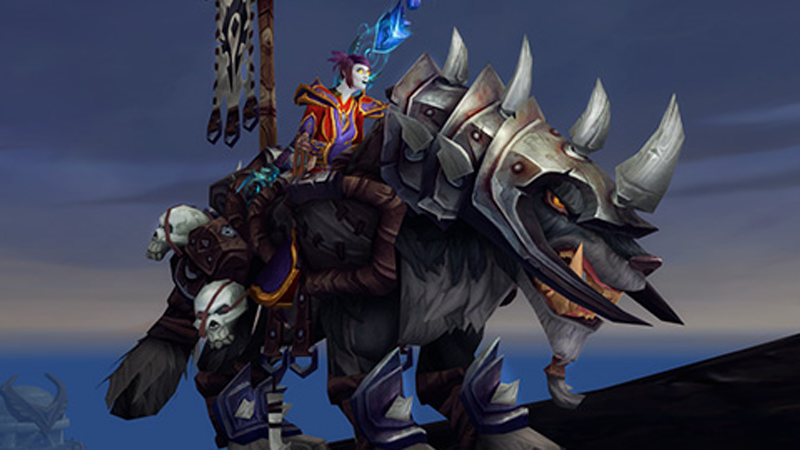 However, in return, you’ll increase your Prestige Level, which grants access to a number of rewards, such as mounts, titles and various cosmetics. Legion will also have two new Arenas, one located near Black Rock Hold and another one in the forests of Val’sharah. The mechanics of the second one sound pretty cool: When you first enter this arena, you’ll be encased in a dome of vines. When the match starts, those vines will retreat, leaving the starting area exposed to the rest of the arena. In the center, you’ll find three statues, which can be used to break line of sight. However, those statues are located very close to each other, so you’ll need to keep moving if you want to play defensively. This all sounds fun (check out the whole list of changes over here) especially for someone who’s running Ashran non-stop recently for those bloody Nemesis titles. We’ll see how it works out.